I have another installment of my very exciting portrait project. I love my community and there are some amazing people making Rhode Island a wonderful place to live. I have decided to photograph the people who are really making “IT” happen here in my community in a (hopefully) creative and fun way that tells a story about who those people are and what they are doing for their respective businesses. This Portrait is of Clay and Gina Johnson that own The Goddard School of South Kingstown. They are wonderful people who genuinely like kids. You can tell from the moment you step foot in the door, this is a nice/safe place to leave your children. We talked quite a bit about the concept for this portrait, and the theme that I kept coming back to was FUN!!! They own a school that is for kids and the place is JUST PLAIN FUN!!! 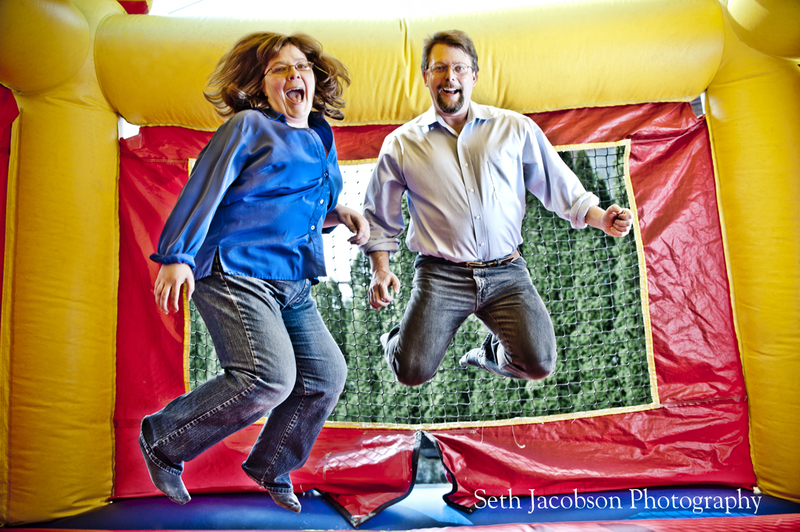 So what is more fun than a Bounce House! Here they are in all their glory! And by the way if you want to visit The Goddard School website it is right here.